How Do You Heat Your Pool for Cheap? Readers Weigh In with Advice. A reader named Estela wrote in with a spending conundrum that I have no idea how to answer. If Estela bought 10 $20 heating rings she would spend $200. Do you have any cheaper solutions? How about throwing sun-heated rocks into the pool? Or covering it with sheets of black plastic, which absorb a lot of sunlight (similar to how solar showers work)? Funneling the hot air from your dryer into the pool? I use a solar blanket. You can get them at Lowe’s for around $60, depending on the size of your pool. My pool is covered right now and it is at a nice 90 degrees, just the way we like it. A roller makes it much easier for covering and uncovering. I would definitely invest in the roller too. There are several choices. The “Solar Pill” dispenses a liquid that covers the pool which reduces evaporation. This does two thing – it saves water and it saves heat lost from evaporation. A second option is to buy a 100 foot black garden hose, laying it out next to the pool and sending the pool water through it. It will heat up. If you need more heat, buy another hose. You can stick the hose into a water outlet or you can just use the siphon technique. I too used to have a solar blanket, worked great. Our pool now is older and needs to be re-plastered so it tends to get algae. Our pool man said if we use anything like a solar blanket or solar rings out algae problem would be out of control. I was advised that the BLACK garden hose should do the trick. You might have to have a spigot installed in your system to connect the hose. You can just let the other end drain into the pool. It was suggested to “snake” the hose back and forth to get more exposure in a smaller area. If convenient, place the hose on the roof to keep it clear of your deck. Run the water pump during the day. BTW, to cool down your pool (a problem here in Southern CA) run the water pump at night! Also, if you are re-plastering the pool, a DARK color will absorb more heat than the typical white. You could build a solar water heater that uses the pool pump for circulation. Do NOT buy the solar rings. We invested $200 last summer and it was a waste of money. The solar blankets are about $75 each and they work really well. It’s easier to remove from the pool if you cut them up into a few smaller pieces instead of covering the pool with one piece. If your pool gets close to 90 degrees that is when you can have algea problems, so just monitor the temperature and remove the cover if it’s getting too warm. Before my dad decided to get rid of his pool, he used 2 methods to heat his. He had a solar cover. He also set up a solar panel system so that as the water went through the filter it went through the panels to heat up. His pool was never below 85 degrees. Definitely not cheap, but investing in solar heating for my pool 5 years ago was the best thing I ever did. I use my pool from the about the first week of May through almost all of October. If you heat your pool with natural gas, it is most efficient to turn on the heater and set the temp and leave it all summer. Solar works well but is costly. Covers work, will raise the temp about 10 degrees but are hard to remove and make the pool dirty. Algae grows for only one reason, not enough chlorine, it is not the cover but the higher temp of the water and the need for more chlorine. Want to save money replace your circulation pump to a variable speed pump. In LA you will save $50 to $100 a month in electricity. How much does it cost to do one load of laundry? There are several choices. The “Solar Pill” dispenses an liquid that covers the pool which reduces evaporation. This does two thing – it saves water and it saves heat lost from evaporation. A second option is to buy a 100 foot black garden hose (about $20), laying it out next to the pool and sending the pool water through it. It will heat up. If you need more heat, buy another hose. You can stick the hose into a water outlet or you can just use the siphon technique. I too used to have a solar blanket, worked great. Our pool now is older and needs to be re-plastered so it tends to get algae. Our pool man said if we use anything like a solar blanket or solar rings out algae problem would be out of control. Great suggestions so far! Keep ’em coming!!! I installed heavy black hoses in a loop fashion out of sight. I connected a regular water hose to the end of the black hoses which then connect to a common fountain pump so water circulates from the pool, through the black hoses and then back into the pool. I control the pump on a timer that allows me to run the pump at fifteen minute intervals during the day and shuts the pump off at night. Everything is automatic. For additional effect I laid the black hoses on a black tarp. This serves two purposes: it generates more heat and it creates a barrier against weed and grass growth. You could build a solar water heater that uses the pool pump for cicrulation. Definately not cheap, but investing in solar heating for my pool 5 years ago was the best thing I ever did. I use my pool from the about the first week of May through almost all of October. If you heat your pool with natural gas, it is most efficient to turn on the heater and set the temp and leave it all summer. Solar works well but is costly. Covers work, will raise the temp about 10 degrees but are hard to remove and make the pool dirty. Algae grows for only one reason not enough chlorine, it is not the cover but the higher temp of the water and the need for more chlorine. Want to save money replace your circulation pump to a variable speed pump. In LA you will save $50 to $100 a month in electricity. See Poolsbyben.com for info. and y-tube viedo. 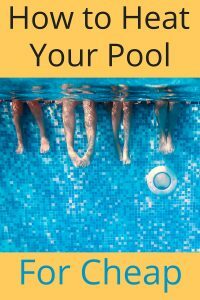 E-mail me any pool question at Ben@poolsbyben.com. We will have the answer. Please go green. Be cautious of putting anything on your roof, even solar panels. Over time they can cause problems where anything come in contact with the Shingles, causing premature failure resulting in repair and/or roof replacement and voided warranties. If the installer tells you otherwise, have them give you a warranty covering the life of your shingles. Use your head for something more than just a hat rack. I really like what Kelly K said about her dad using a solar panel system to heat his pool. That is something that my husband and I have been looking into for our pool. We will have to keep this information in mind while we look for a heater that is inexpensive and lasts a long time. Thank you for sharing! The cheap and easy way is with a Black trash bag. Cut open and lay on top of the water. It really works. I also but a hoola hoop in the trash bag so It stays open when it’s windy. Let the sun do the work!! 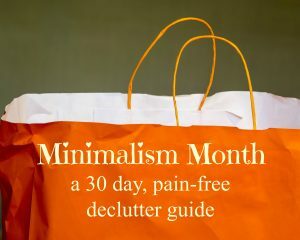 Wow, what a simple – and frugal – approach! Thanks for the tip! Solar rings have worked for me to keep my pool warm. If it isn’t sunny enough to power the rings, it probably isn’t hot enough to swim anyway!